The ATD Valley of the Sun Chapter is governed by volunteer leaders who represent all aspects of the training and human resources development profession. These leaders utilize their management, marketing and technical skills to plan, administer, and implement the policies, programs and projects of the Chapter. Through their guidance, the organization serves the educational and professional development needs of its members. Biographies are sorted alphabetically by last name. Ina Heffner is a leadership and organization development consultant and communications and media training facilitator. 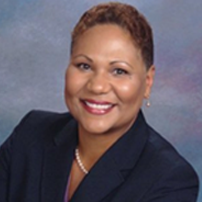 She has previously worked in various organizations and industries, including: Procter & Gamble paper manufacturing; Mobil Chemical plastic films manufacturing; Abbott Laboratories infant and medical nutritional product manufacturing; CEMEX construction aggregates manufacturing; DBM outplacement consulting; Houston/Harris County Metropolitan Transit Authority; and BP corporate management development. After having had several opportunities to network and work with the chapter and Board, including as a volunteer at the 2015 and 2016 ATD-VOS annual conferences, Ina is excited about the chapter's activities and direction. In a short time, she developed positive relationships with several Board members and was acknowledged for making valuable contributions toward chapter event success. Ina loves to be in a position to continue to support ATD Valley of the Sun in achieving its vision. Ina’s other current and previous volunteer activities include: ASTD (now ATD) Valley of the Sun Board member ~1998-9; ASTD Houston Board Member (2002-3); ODN Chicago program committee 2014-15; Prairie View College of Business Dean’s Advisory Board member 2005-present; Lemont (IL) Fire Protection District Project intern 2014; Leadership Houston member and class selection committee member 2005-present: Association for Psychological Type member: Arizona Supreme Court Judicial College former Board member; Arizona Committee on Probation Education former Board member. Ina earned a BS in Mechanical Engineering from Purdue University in West Lafayette, IN, and MS in Management and Organizational Behavior from Benedictine University in Lisle, IL. Vicky is an entrepreneur and has been small business owner for over 20 years. She has operational experience in all aspects of the management of a successful performance/change management consulting business. Working inside organizations and within her own has given her a unique blend of operational breadth and functional depth of expertise to bear on client/professional engagements. With strong business acumen and a system perspective, she is continually focused on alignment to organizational goals and objectives, and sustainable results. Vicky moved to Phoenix full time last October from Michigan. She was involved with a local ISPI chapter in Michigan because she wanted to be involved with and give back to her professional community. She would like to do the same here in AZ. Vicky have experience as the VP of Finance and as President for the Michigan ISPI chapter and hope to bring that experience to bear while server on the board of ATD VOS. Vicky strongly believe that a learning system is one of three key enablers to bring and sustain change in and organization; but is not a standalone solution. She am excited when working with an organization that understands this and works to ensure the learning event will be successful by looking at how it fits into the big picture. The members are our clients and need to be provided resources, events, and conversations that are holistic in nature and that help them be well rounded professionals who also see the big picture. As Vice President of Healthcare Learning and Innovation at Alorica, Kimberly Moss leads a team of healthcare learning professionals who help make lives better of Alorica team members with each interaction. In her role, she designs learning strategies that incorporate cutting-edge remote classroom technology for instructor-led and self paced learning modules which educate the company’s healthcare advocates and leaders. With more than 20 years of experience in developing effective learning programs, Kim’s sweet spot is in driving business results and efficiencies through learning. Under her leadership, the company’s healthcare learning program has grown and become a solid foundation of success for front-line healthcare advocates and their leadership teams. Kimberly holds a Masters of Business Administration and a Masters of Management from Bellevue University. She served as a mentor at Sacred Heart schools for 10 years and Girl Scout Brownie Leader. In addition, she volunteers with Junior Achievement, PetSmart Charities, Valley of the Sun United Way, Arizona Standdown and Chandler Unified School District. Laura is currently a Learning Leader for Medtronic Tempe Campus. She received her Green Belt certification in the Lean Six Sigma methodology for driving continuous improvement efforts that positively impacted business results. As a Learning Professional, she is responsible for managing the manufacturing training department. In this role, she partners with business leaders to develop and implement learning and development strategies to drive improvement in organizational and business performance. Laura holds a bachelors degree in business administration from Paul Quinn College and a masters degree in organizational management from the University of Phoenix. Marybeth has a pension analyst and customer service background. She became a trainer through training new hires within every role she was worked. Her technical and customer service backgrounds work well together while she trains on technical topics in layman terms. She volunteers with Toastmasters as her chapter’s VP of Public Relations and also with ATD. She mentors her friends with any networking skills that they need. She has also trained numerous groups on American Sign Language and provided training classes for a couple MLM companies. She received her Bachelor’s Degree in Communications with in a minor in Psychology from Monmouth College (IL). She completed her Training Certificate from ATD to freshen up on her training skills and to become certified as a trainer. She is looking towards Gamification as her next field of interest. Jolanta Lewinska is a Learning and Development Generalist at Caliper, supporting Caliper’s approach to client learning through instructional design and facilitation of client education events, workshops, and webinars. Her in-depth understanding of best practices in the areas of employee selection and development, coupled with her expert knowledge of the Caliper Profile, enables her to ensure the effective utilization of the assessment within the client organizations she serves. Her experience includes consulting with clients in a variety of industries, including healthcare, financial services, retail, manufacturing, and technical services. Prior to joining Caliper, she worked in the non-profit sector for seven years as a Manager, Guest Relations at The Wildlife Conservation Society providing operational management and strategic planning for several facilities. Jolanta earned her Bachelor of Science and Master of Science degrees in Biology from St. John’s University and a Master of Business Administration degree from Monmouth University. She is a member of The Association for Talent Development (ATD), The Society of Human Resource Management (SHRM) and Beta Gamma Sigma, an international honor society for business professionals. She also holds a SHRM-Certified Professional (SHRM-CP) certificate. Cayly Dixon, CPLP, is a dedicated L&D professional and knowledge management enthusiast who is comfortable in the technical world but at home with people. She is Corporate Training Manager for Entero, a software company, and is a certified Dale Carnegie facilitator. She loves to knit and run, learning to live in the desert and her family. Cayly has her Masters of Science in Information and Knowledge Strategy from Columbia University and studied at the University of Toronto for her undergrad. She became a CPLP in 2013. Trudy Dave is an Assistant Vice President at Bank of America with 20 plus years of talent development experience with American Express, Avnet and International Cruise and Excursions. As an entrepreneur, Trudy operated a talent development business with clients including ConocoPhillips, Southwest Airlines and Sun America Securities. Trudy has expertise in needs analysis, instructional design, web-based development, 360 degree feedback, leadership development and learning facilitation. In her current role at Bank of America, Trudy designs and develops learning solutions for various lines of business. Trudy holds a Masters of Education in Educational Media and Computers and a Bachelor of Arts in Human Development. In addition to being a Certified Professional in Learning and Performance (CPLP), she also holds certifications in Return on Investment measurement process. Trudy served two terms on the Kyrene School Board, and continues to find time to actively volunteer in the community with organizations such as the Back to School Clothing Drive and St. Mary’s Food Bank.